On a day when there isn't much to speak of we are given some news that I'm sure doesn't surprise anyone. 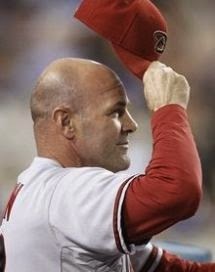 This afternoon the Diamondbacks officially fired manager Kirk Gibson. 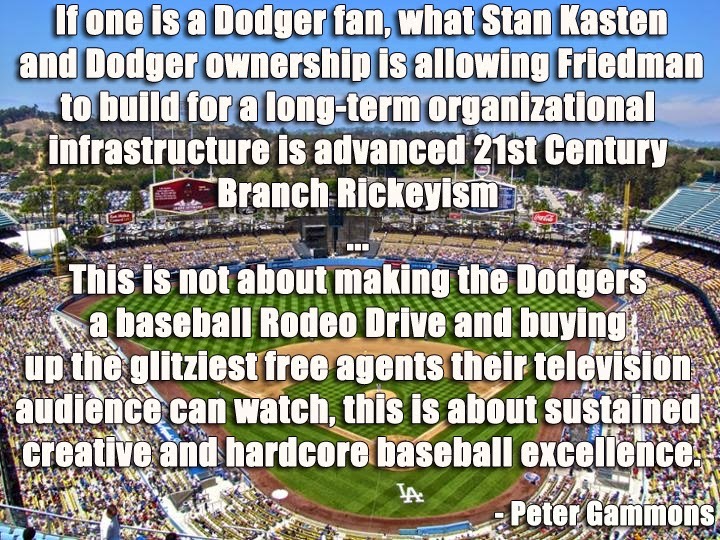 This has caused a rather vociferous response from the Dodger faithful, and to be frank I don't like it at all. I get that he was an opposing manager of a burgeoning rival... I get that he's been blamed for the HBP parade that became endemic of the DBack's pitching staff... I get that some Dodger Blue fans may hold a grudge against him as a result... But, come on now. Kirk Gibson is one of the Dodgers greatest heroes and regardless of that recent past he should always be given a measure of respect. From where I stand, Kirk Gibson will always be a Dodger. 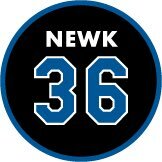 I will always see him as that hobbling linebacker-looking slugger who was the inspiration, if not the reason, we won the World Series in 1988. And for that, for that single season of Dodger Blue greatness, I will always tip my hat to Kirk Gibson. Like I said before, he deserve that level of respect - especially from Dodger fans. 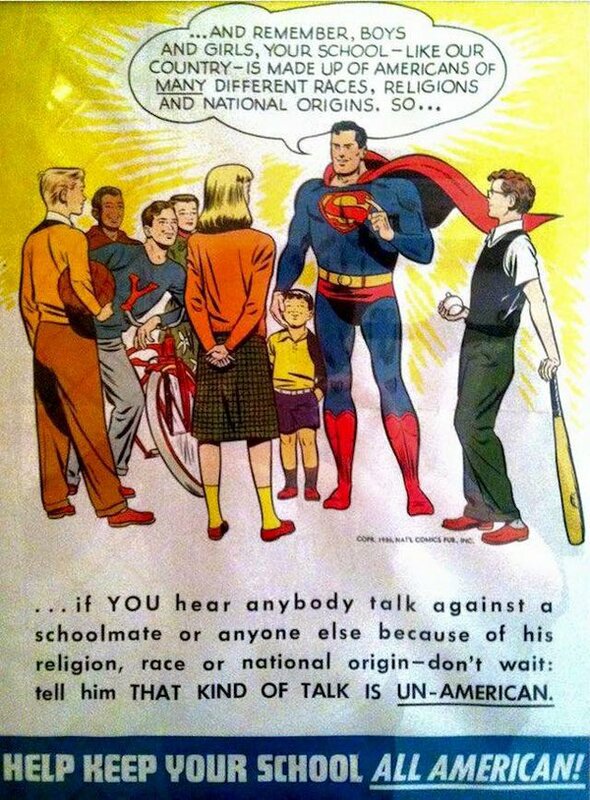 Pic above grabbed from Hardball Talk. Rockies Series Starts Tonight - Scheduled Autograph Signings, Game Give Aways and Other Stuff! 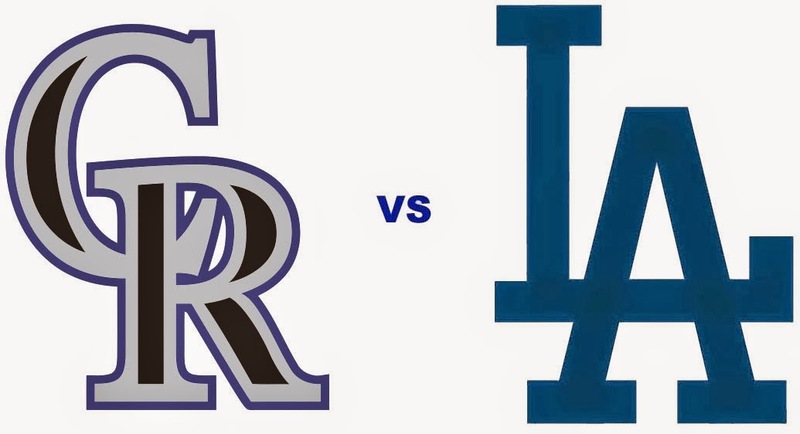 The next homestand starts this evening against the Colorado Rockies, and several olde-tyme Dodgers will be in the house to sign free autographs for fans. Below are the scheduled autograph opportunities and other odds and ends for this upcoming homestand. Tonight's game starts at 7:10 PM. Auto gates open at 4:30 PM, and stadium gates open at 5:00 PM. 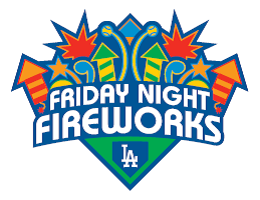 It is Friday Night Fireworks, so fans will be able to go down onto the field after the game. The theme for the evening is a celebration of national Hispanic Heritage month. Hayley Orrantia, a 20-year-old actress, singer and songwriter, who can currently be seen starring as Erica Goldberg on ABC’s “The Goldbergs” will perform the national anthem. Also, the Dodgers named Julio Urias as the Branch Rickey Minor League Pitcher of the Year and infielder Corey Seager and outfielder Joc Pederson as co-Minor League Players of the Year, and they will be honored before the game. 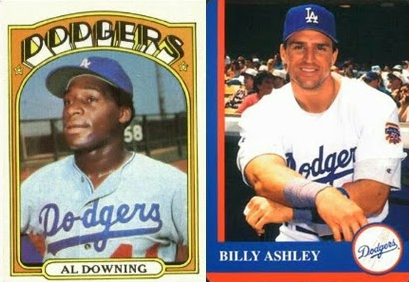 Former Dodgers Billy Ashley (in right-field pavilion plaza) and Al Downing (in left-field pavilion plaza) will be signing autographs for fans from 5:00 PM to 7:00 PM. Both will then sign autographs in the Stadium club from 7:00 PM to 7:30 PM. The Veteran of the Game presented by Bank of America is U.S. Army Private First Class Ted Gach of Los Angeles. Gach volunteered to enlist when World War II started and served with the 82nd Airborne as a paratrooper and demolition expert. On June 6, 1944, also known as D-Day, Gach volunteered to jump into Normandy, France with explosives hidden in his boots. He also made jumps in Italy and Holland. In addition, he fought in Germany and in Belgium during the Battle of the Bulge. Gach’s accolades include the Purple Heart, European-African- Middle Eastern Campaign Medal with Bronze Arrowhead. The Los Angeles Dodgers Foundation (LADF) will hold a silent auction on the Club level by the Vin Scully Press Box. The auction ends at 8:45 p.m. with more than 25 items up for bid, including a Carl Crawford autographed baseball, Matt Kemp autographed photo and Adrian Gonzalez autographed game-used No. 42 LA Dodgers Jersey from Jackie Robinson Day. All proceeds will benefit LADF and its programs in sports and recreation, education and literacy and health and wellness which help children and families throughout the greater Los Angeles region. Saturday's game starts at 6:10 PM. Auto gates open at 3:30 PM, and stadium gates open at 4:00 PM. The Jackie Robinson West Little League baseball team from Chicago that won the U.S. Little League championship and finished runner-up to South Korea for the Little League World Series title will visit Dodger Stadium on Saturday as guests of the Dodgers. They will take batting practice from 1:45-2:15 p.m. on the field at Dodger Stadium with Carl Crawford, meet with Dodger alumni and legends, participate in the on-field pre-game ceremonies and attend the game that evening. Grammy nominated singer and actress Christina Milian, who is also of Cuban descent, will perform the national anthem as part of La Gran Fiesta – Viva Los Dodgers day. Los Angeles Lakers’ new point guard Jeremy Lin will throw the ceremonial first pitch. 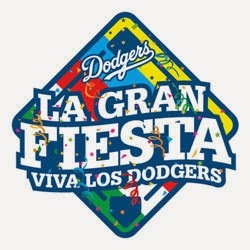 Fans are encouraged to arrive early to enjoy La Gran Fiesta – Viva Los Dodgers. The Dodgers’ annual national Hispanic Heritage month celebration held in lot 6 will include on-stage interviews and autographs from Dodger broadcasters, former players and current players and live entertainment from CAVA, El Conjunto Nuevo Ola, Trio Ellas and DJ Scoop DeVille. Go here for more information. La Gran Fiesta starts at 2:00 PM and admission is free for all fans going to the game. SportsNet LA Dodger broadcaster Alanna Rizzo will interview Dodger players on stage including Adrian Gonzalez and Kenley Jansen. Dodger broadcasters, Alanna Rizzo, Rick Monday, Charley Steiner, Manny Mota, Jorge Jarrín, Hall of Famer Jaime Jarrín, Pepe Yñiguez and Fernando Valenzuela will also sign autographs. Starting at approximately 4:00 p.m., Dodgers players including Tim Federowicz, Paco Rodriguez, Miguel Rojas, Yimi Garcia, Pedro Baez and Carlos Frias will sign autographs for fans. Hanley Ramirez will make an appearance at the State Farm activation area. Dodger alumni league members Dennis Powell, Derrel Thomas, Tommy Davis, Lee Lacy, Kenny Landreaux, Al Ferrara and Billy Ashley will also sign autographs at La Gran Fiesta. Below is an autograph schedule that was just released. Some of the folks indicated above but not shown below may still make an appearance. UPDATE: Go here for the updated schedule. The Veteran of the Game presented by Bank of America is U.S. Navy Gunnery Sergeant Jason Butler. 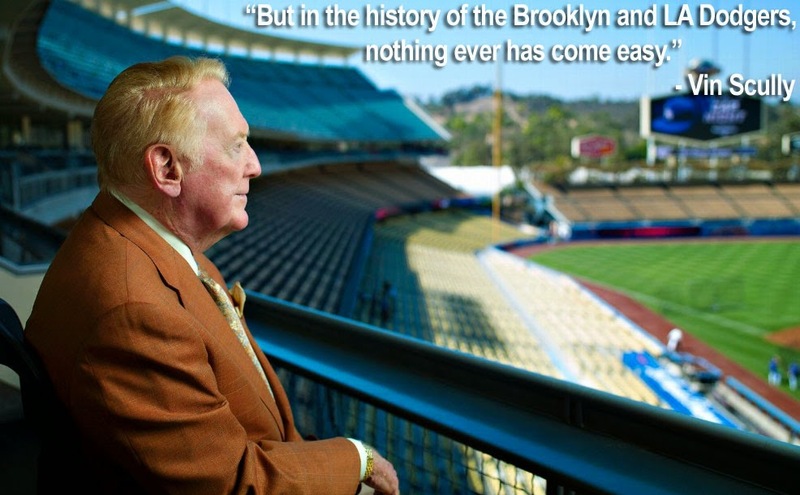 The Los Angeles Dodgers Foundation (LADF) will hold a silent auction on the Club level by the Vin Scully Press Box. The auction ends at 8:45 p.m. with more than 25 items up for bid, including a Yasiel Puig autographed baseball, Clayton Kershaw autographed photo and Hanley Ramirez autographed game-used #42 LA Dodgers Jersey from Jackie Robinson Day. All proceeds will benefit LADF and its programs in sports and recreation, education and literacy and health and wellness which help children and families throughout the greater Los Angeles region. Happy Fan Appreciation Day! Some lucky fans will receive a special gift from the club. Go here for a brief listing of what will be given away. Sunday's game starts at 1:10 PM. Auto gates open at 10:30 AM, and stadium gates open at 11:00 AM. Christina Grimmie, “The Voice” finalist and Island recording artist currently promoting her newest single “Must Be Love,” will perform the national anthem. The ceremonial first pitch will be chosen as part of Fan Appreciation Day. There will be a postgame postseason rally hosted by George Lopez. The postgame rally will also feature performances by Hip-hop violinist Josh Vietti and Latin Grammy nominated all female mariachi group Trio Ellas. 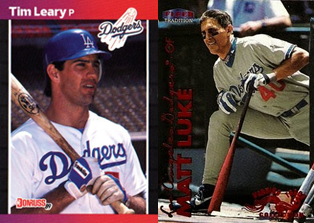 Former Dodgers Matt Luke (in right-field pavilion plaza) and Tim Leary (in left-field pavilion plaza) will be signing autographs for fans from 11:00 AM to 1:00 PM. The Veteran of the Game presented by Bank of America is U.S. Army Colonel Jonathan Braga. Bank of America Vice President, Strategic Account Executive, Merchant Services Matt Haussmann will present him with a flag that has been flown at Dodger Stadium. The Los Angeles Dodgers Foundation (LADF) will hold a silent auction on the Club level by the Vin Scully Press Box with more than 25 items up for bid, including a Andre Ethier autographed baseball, Kenley Jansen autographed game-used baseball cleats and Zack Greinke autographed game-Used No. 42 LA Dodgers jersey from Jackie Robinson Day. All proceeds will benefit LADF and its programs in sports and recreation, education and literacy and health and wellness which help children and families throughout the greater Los Angeles region. 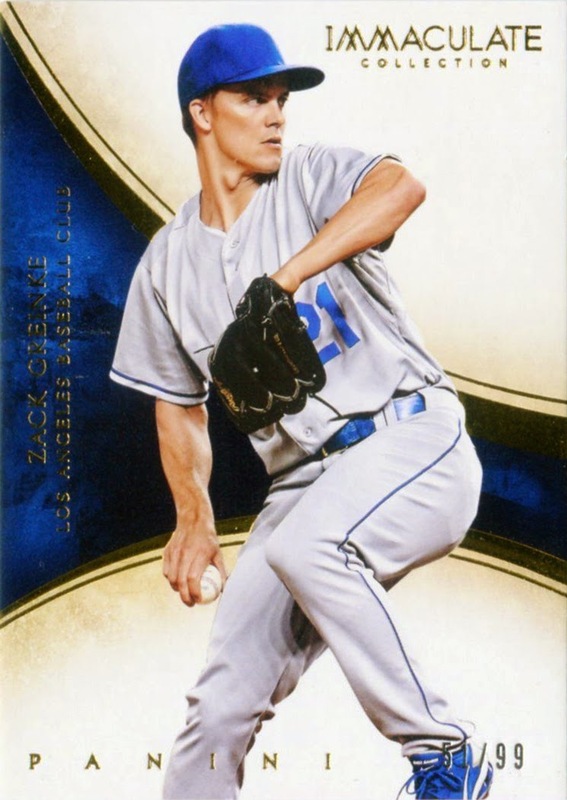 On Wednesday Panini released their newest Baseball card product and it's an high-end issue. 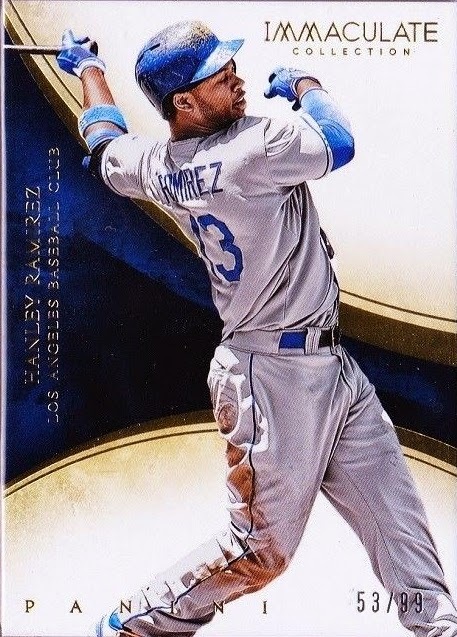 It is called the 2014 Immaculate Collection, and a single box of cards will cost over $200.00. For that price you get one pack of six cards - five of which are guaranteed to be either an autograph or relic card. Go here to see a complete checklist of the set. 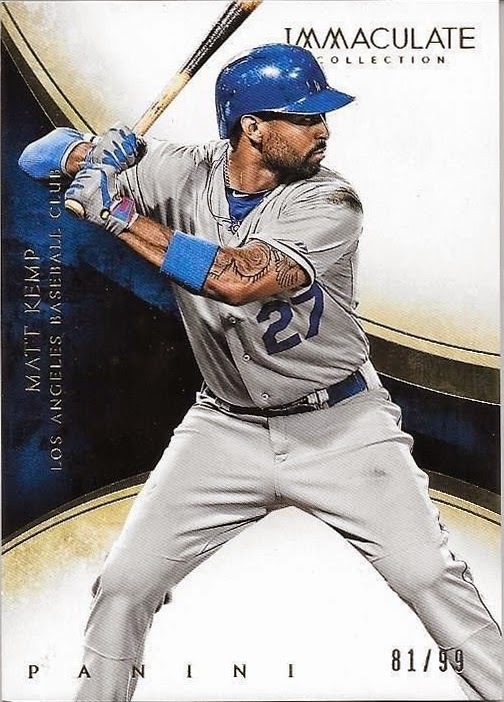 There are seven Dodgers in the 100-card base set. Check them all out below. 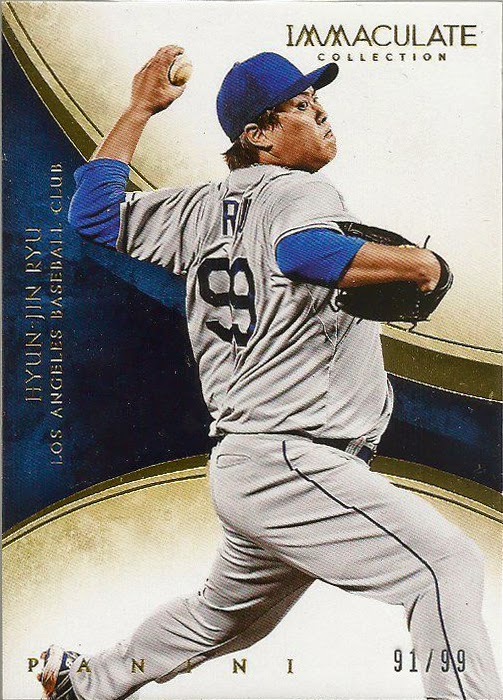 A normal base card is serial numbered to only #/99 copies, and like always there are numerous parallels available. 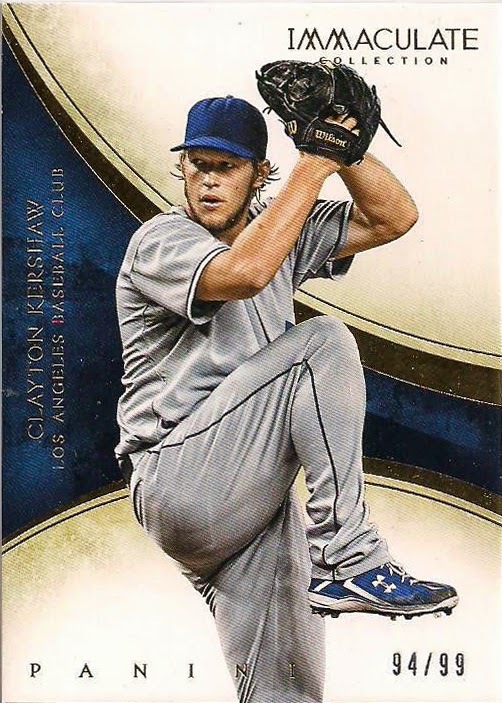 The parallels include a Blue #/10, Holo Gold #/5, Platinum 1/1. Overall, I think it's a great design, but it's missing something... Oh, yeah... there are no team logos, so they look super-goofy. 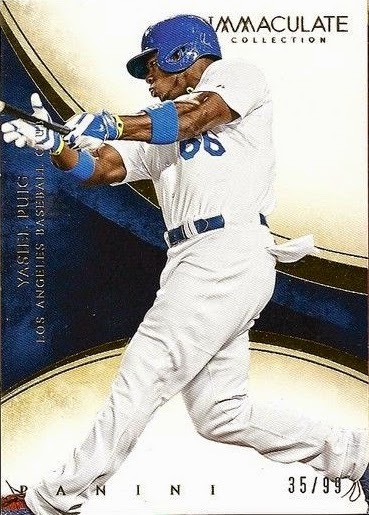 As you may know, Panini does not have a MLB license (only a MLBPA license), so there are no mentions of the Dodgers or their insignia anywhere. Instead, it says only "Los Angeles Baseball Club." Other than that it's a sharp looking set. 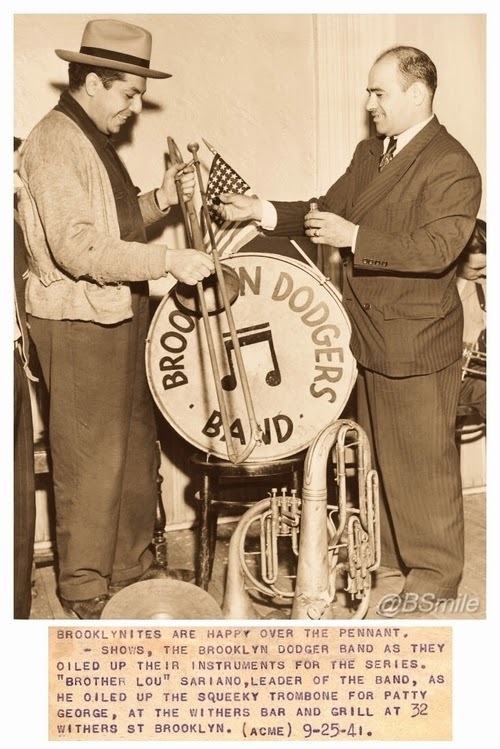 ~ ACME Wire: ” - Shows, the Brooklyn Dodger Band as they oiled up their instruments for the Series. “Brother Lou” Sariano, leader of the band, as he oiled up the squeeky trombone for Patty George. at the Withers Bar and Grill at 32 Withers St. Brooklyn. As you know, this group would be aptly named the Sym-Phony Band by Dodger broadcaster Red Barber in 1939. BTW, there is a half-hour documentary about this group made in 1998, and a six minute clip of it can be seen here, on vimeo. If you haven't already you gotta check out Dodger photographer Jon SooHoo's pics from Wedneday. 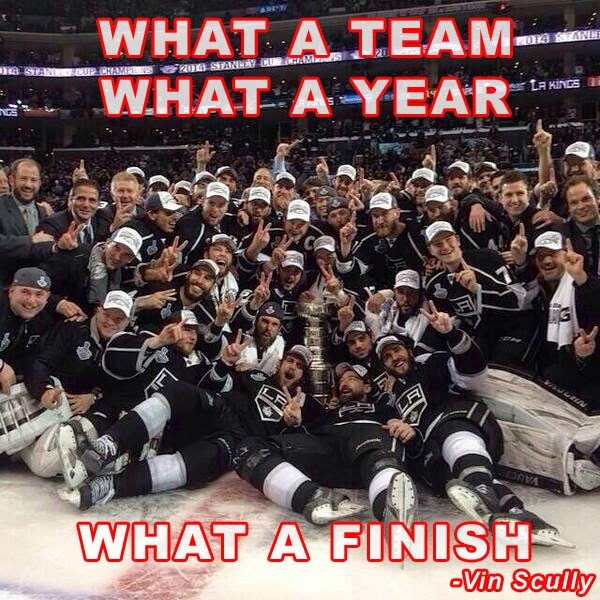 He's got a bunch of photos of the game and the ensuing celebration. Go here. You won't regret it. I had missed this moment at the end of Wednesday's game. So, why are you making it hard to hate you? 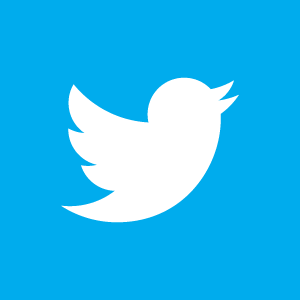 See the gif below. Via Mike Petriello at FanGraphs, "How Hitters Are Trying To Beat Clayton Kershaw." No one’s found a way to beat him, not reliably, anyway; in his 27 starts this year, only once did he allow more than three earned runs. But it doesn’t mean hitters aren’t constantly trying to figure out how, because “simply waiting until he retires in 12 years or so” seems like it might take some time. So they’re doing something that may seem counter-intuitive: They’re swinging as soon as they can. After years and years of being told “be patient, work the count, get into the bullpen,” — not a terrible thought, since the Dodgers bullpen beyond Kenley Jansen & J.P. Howell is more than a little problematic — hitters are abandoning patience and are simply trying to attack Kershaw early. Roberto at Vin Scully is My Homeboy shares a great interview with Vin Scully done by Seth Davis of Campus Insiders. 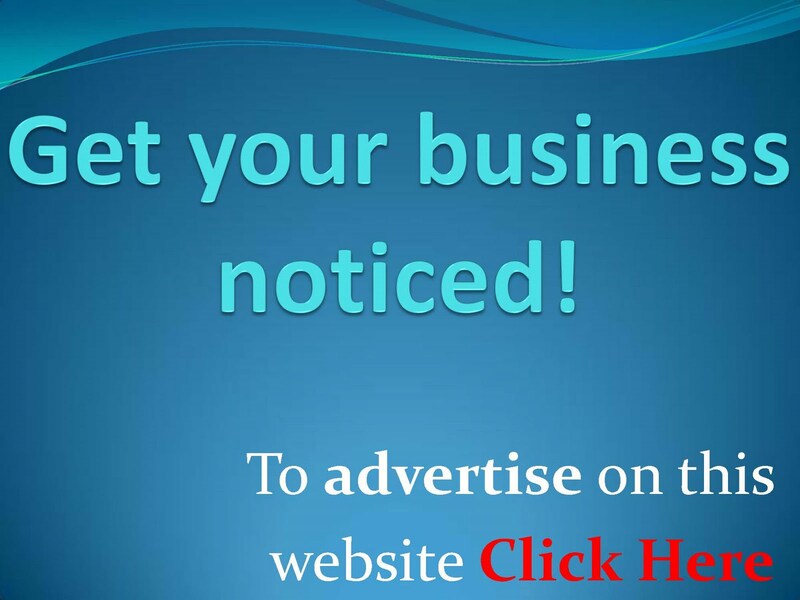 Go here to check it out. Roberto also lets us know about Yasiel Puig appearance on Saturday morning at Hamer Toyota in Mission Hills. 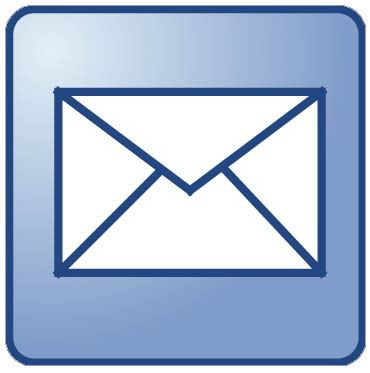 Go here for information on that. Puig will be doing a Q&A only - there will be no autographs available. Via Ron Cervenka at Think Blue LA, "Billingsley has sights set on spring training return." Even though Billingsley hasn’t starting throwing yet, he has been working out and says that he will have a ‘normal’ off-season. 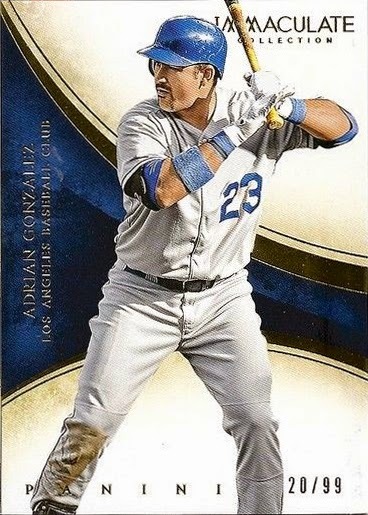 Nick at Dime Boxes writes, "Short Term Stops: The All-Dodgers Team." He put together a list of All-Time Dodgers who had only a brief stay in Dodger Blue, and it's a pretty good list. Left Field Pavilion named the Flying **** Award Winners. The Pope knows Baseball. Via Bill Gallucio at AM570, "WATCH: Pope Francis Tries To Catch Baseball Thrown From Crowd." Via David Pinto at Baseball Musings, Bill "Spaceman" Lee is still going strong on the diamond at 68-years old. What Amy Davidson says at The New Yorker, "What Bill Simmons Showed About ESPN" is spot on.